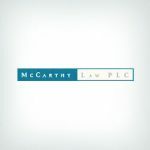 McCarthy Law PLC is an attorney-based debt relief company headquartered in Scottsdale, Arizona. The company was founded in 2010 and conducts business operations in over 90 locations in 31 states throughout the United States. The company assists in consumer legal disputes with creditors over outstanding debt obligations. McCarthy Law also provides credit card, mortgage, and student loan debt services. McCarthy Law does not appear to have any outside accreditations. Services fees are not disclosed to the general public on their company website. Free consultations are offered to interested consumers to help them decide if the company’s services are a good fit for their unique situation. Consumers are able to consult directly with a debt settlement attorney at no cost and have their financial situation analyzed thoroughly. This attorney will create a customized savings plan that includes how much a consumer will need to set aside for debt repayment each month. The attorney also deals with creditors directly on the client’s behalf. Upfront fees are quoted based upon the total amount of debt acquired. Often, consumers are sued by creditors for outstanding debts and need legal representation to settle the dispute. McCarthy Law provides a team of lawyers to assist clients in the debt settlement process and handles all communication with those creditors so the client does not have to. Consumers are able to easily access McCarthy Law representatives in a variety of ways to get answers to any legal questions they may have regarding the debt settlement process. The corporate website offers live chat with a customer service representative, and the company has an active presence on a number of social media platforms. The company does not list any accreditations on its corporate website from trusted organizations such as the American Fair Credit Council (AFCC) or the International Association of Professional Debt Arbitrators (IAPDA). McCarthy Law does not disclose a pricing structure for fees on its corporate website. The only information the company provides is that it charges a flat fee within 6-36 months once the disputed debt is resolved. The company does not appear to offer a money-back guarantee, as no information is publicly disclosed on their corporate website. McCarthy Law PLC assists consumers with attorney-based services for debt settlement and credit repair. The company provides free consultations to consumers to help them determine if legal representation is needed for their specific financial needs. The debt relief company does not appear to have any third-party accreditations. The company does not publicly disclose its upfront fees, and no money-back guarantees appear to be offered. McCarthy Law PLC provides debt reduction, settlement, and debt management services to clients across the United States. These states include: AZ, CA, CO, FL, GA, IL, IN, IA, MD, LA, MI, MA, MN, MS, MO, NV, NJ, NM, NY, NC, OH, OR, PA, RI, SC, TN, TX, UT, VA, WA, and WI. The company offers a free consultation and debt savings plan estimate with a licensed debt attorney to interested consumers. During the debt settlement process, consumers can expect to set aside a portion of their monthly earnings to pay back accrued debt. By submitting this form, I consent to receive calls using automated technology from McCarthy Law PLC at the number provided and understand this is not a condition of purchase.